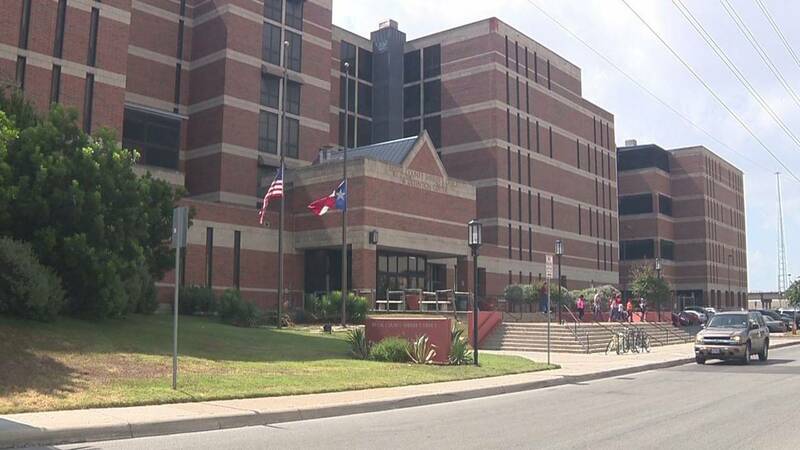 SAN ANTONIO - A Bexar County Sheriff's Office detention deputy and a supervisor were suspended for releasing an inmate without following bond conditions issued by a judge, according to records obtained by The Defenders. Two separate orders spell out the reasons Deputy Spencer Fadorsen and Sergeant Angelina Castillo served two days suspension without pay. The discipline was finalized last month, though the incident happened a few months ago. On May 25, Fadorsen was working the jail's release desk and released an inmate on her own, "thus violating the court order directing the Sheriff's Office to release (the inmate) to her father," the document said. Fadorsen's oversight was a result of "failing to review the court paperwork," the document said. Castillo was supervising Fadorsen when the inmate was released. "(Castillo) admitted to reading the conditions of the bond stating that inmate...was to be released to her father, but failed to ensure the court order was completed as directed," the documents said. BCSO released suspension records for three other deputies disciplined last month. Deputy Brandon Young, 5-day suspension. Young violated jail policy when he took his cellphone into the building. A check of the unit by a supervisor also found doors were unsecured. Deputy Hieu Bui, 3-day suspension. Bui failed to report to work, did not respond to phone calls, but did tell a BCSO patrol officer who showed up at Bui's door that he was fine. When he returned to work a few days later, he said he was with his girlfriend due to his "concern over her safety." Deputy Adam Estep, 3-day suspension. Estep called in sick to work but showed up to work an off-duty job prior to that shift and worked another off-duty job when he should have been on duty -- something a supervisor realized when he saw Estep on the site.